1. Traditional Chinese Massage - There are two types of traditional Chinese massage - Tui na and Zhi Ya. Tui na employs pushing, stretching and kneading the muscle. This is the more commonly available style in Western countries, and 'Tui na' is occasionally displayed in advertising by the most authentic of practitioners to identify their particular style. Zhi Ya focuses on pressing and pinching at acupressure points. Both are based on principles from Traditional Chinese Medicine. 2. Traditional Thai Massage - an interactive manipulation of the body using passive stretching and gentle pressure with the hands and occasionally feet. Thai massage also includes compressions and stretches. Thai Massage requires participation on behalf of the customer - you don't just lie there. The therapist moves and stretches you into a sequence of postures, akin to yoga without doing all the work! As a consequence, Thai massage can be more energising than other forms of massage, improving flexibility and range of motion. 3. Aromatherapy - the use of aromatic plant oils, including essential oils for psychological and physical well-being. What is an 'essential oil'? The term is derived from ancient beliefs about the components of matter, the quintessential component being the spirit or 'life force'. This concept has been applied loosely to extracting the perceived spirits of plants, typically using distillation processes to retain the aromatic and purported healing properties. 4. Reflexology - based on the principle that congestion of tension in any part of the foot is a mirror to the same in a corresponding part of the body. Reflexology is very relaxing, especially for people who stand on their feet all day or just have tired, achy feet. In practice, you don't need a qualified reflexologist to get a lot of satisfaction out of a good foot massage. It can however be painful so don't be shy in asking for a little less firmness if it becomes too uncomfortable. It will probably do you good to grin and bear it, but it does need to be enjoyable too. 5. Swedish Massage - a system of long strokes, kneading, friction, tapping, percussion, vibration and shaking motions that apply pressure between muscles and bones. This is a gentle style of massage, hence mainly used for relaxation. 6. 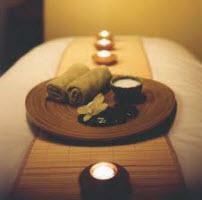 Hot Stone Massage - smooth heated stones are placed on the body to warm and loosen tight muscles. Hot stone massage is ideal for people with muscle tension but prefer lighter massage. This is a specialty service and not offered by most clinics. 7. Sports Massage - typically conducted by a masseur attached to a gym or sports club, and focused on the treatment of a chronic or acute injury. Can be quite robust, but hey, no pain no gain! 8. Shiatsu - a form of Japanese treatment that uses localised finger pressure in a rhythmic sequence on acupuncture meridians. Each point is held for two to eight seconds to allegedly improve the flow of energy and help the body regain balance. People are normally pleasantly surprised when they try shiatsu for the first time. It is relaxing yet the pressure is firm, and there is usually no soreness afterwards. 9. Pregnancy Massage - also called prenatal massage, pregnancy massage should only be conducted by Massage therapists who are demonstrably certified (with evidence) in pregnancy massage and who know the proper way to position and support the woman's body during the massage. Pregnancy massage is used to reduce stress, decrease swelling, relieve aches and pains, and reduce anxiety and depression. PLEASE NOTE: There are no pregnancy massage certified practitioners amongst the therapists promoted on this site, and while we encourage massage as part of a healthy lifestyle, we recommend you seek a specialist for this type of service to ensure the well-being of both the mother and her precious cargo. 10. Bowen Technique - An Australian developed technique involving consists of gentle rolling movements over muscles and tendons to stimulate the body's own healing mechanisms. Originally intended to help people suffering from muscular-skeletal problems, it has also been successful with many other conditions, including asthma and respiratory ailments in children and pre-teens. Similarly to pregnancy massage - this is a specialist treatment requiring a practitioner qualified in this particular field.